Very Thai author Philip Cornwel-Smith was interviewed about the crackdown on Bangkok street vending in this cover story of The Nation newspaper. Fah Thai is the inflight magazine of the boutique carrier Bangkok Airways. This feature appeared in its section called The guide: Thailand in the May/June 2014 issue. A twenty-year veteran of Thailand, Philip Cornwel-Smith recently released the second edition of Very Thai, a celebration of Thai pop, retro, street and folk culture. The re-release covers the many cultural changes that have swept through Thailand since the first book hit store shelves to considerable success nearly a decade ago. Through vivid photographs, sharply rendered illustrations and insightful observations, the author pinpoints some of the biggest changes he’s witnessed over the years. One of the most dramatic changes, Cornwel-Smith notes, is the way politics has come to infuse daily life in Thailand, from fashion to soap operas. The new edition features more than 200 striking images and four original chapters, including a fascinating exploration of the rise and global popularity of the retro ‘Thai Thai’ culture. “Magical tattoos, herbal whisky, Morlam folk music and street food have evolved from low-status taboo into mainstream trends with export appeal,” the author says. What’s more, Cornwel-Smith notes, is that Thai pop culture itself, long dismissed by traditionalists as urban trivia, has acquired social legitimacy and is regularly celebrated int eh media, at museums and at galleries in Thailand and elsewhere. Most intriguing is his in-depth exploration and explication of quirky Thai icons, historical events and traditions, including the Japanese motor-rickshaw’s transformation into the tuk-tuk, rock’s morphing into festive farm music, the colour-coding of weekdays, floral truck bolts, taxi altars and drinks in bags. I have been involved in some form of publishing since my schooldays. My life looks like a direct line towards where I am now, but it didn’t feel like that at the time. For two decades I have been covering popular culture here in Bangkok. First, it was editing Metro, Bangkok’s first city listings magazine, then writing and editing Time Out Bangkok, probably the first Bangkok guidebook to focus on engaging with the city more than just being a tourist. So You Think You’re Farang? 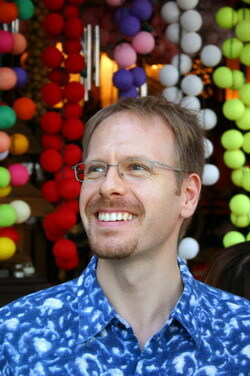 A ten-page interview with Philip Cornwel-Smith about Very Thai in an issue themed around changing Thai identity. Open PDF link for full feature. London has its black cabs, Venice its gondolas, and Bangkok its tuk-tuks, but Thailand’s iconic three-wheeled taxis are going global as foreigners scramble to pick up a piece of Thai culture. The smoke-belching motorised rickshaws can now be seen plying Britain’s seaside towns, Canada’s golf courses and Tokyo’s neon-lit streets, and manufacturers have seen a surge in global sales and recognition. BANGKOK (AFP) – A little more than a week ago, Bangkok was at a standstill caused by daily political rallies. But judging by the crowds snaking through the Thai capital during the Songkran water festival, nothing could now be further from most people’s minds. Bangkok seems to have effortlessly shifted gear from the political protests that forced out Prime Minister Thaksin Shinawatra into celebratory mood, with tens of thousands of people armed with water pistols taking to the streets for this year’s festival. Songkran, which commemorates the Buddhist New Year, is traditionally a time of renewal and involves pouring water over shrines and other people as a sign of cleansing. len, sondern Handel damit betreiben. etwa 500 Baht (zehn Euro) verdienen. chend hat sich die Regierung große Ziele gesetzt. im eigenen Garten zu verbrennen. gestufte und wenig geachtete Jobs. ne sehr schwere Aufgabe dar. niger auf ihre Kosten fixiert sind. cher, die nicht extra abgedichtet sind. senkte Abholfrequenz nach sich zog. eine höhere Akzeptanz zu erreichen. 1) Cornwel-Smith, P. 2005: Trash Recyclers. pular Culture. Bangkok, S. 67-69. Another guide to life in Thailand, but not the usual “which bus to catch” and “don’t mess with the servants”, but a hard-cover guide to the everyday, but oft unfathomable, life and times in Thailand. Written by Philip Cornwel-Smith, a writer with much experience in this country, and photographed by John Goss, Very Thai – Everyday Popular Culture (ISBN 974-9863-00-3) was published this year by River Books in Bangkok. Superficially, Thailand may appear more Westernised than most other countries in Asia. Jeans, T-shirts, Coca-Cola and hamburger joints belong to the youth culture here, like English football and American pop music. But there’s something very Thai behind the façade not only in the indigenous culture but also in the way in which the Thais absorb outside influences. All those phenomena are explained splendidly in a new book, Very Thai: Everyday Popular Thai Culture by Philip Cornwel-Smith, a Bangkok-based English journalist. Beauty contests, astrology, taxi altars, belief in ghosts and spirits are all put in their proper context in this very readable book. Alex Kerr, earning his accreditation herein as an “Asia pundit”, says it best in the foreword to Very Thai: “This is the book I wish I’d had when I first came to Thailand.” It is truly so much better than any other “guide” (once you’ve got all the maps and hotel listings in your pocket).